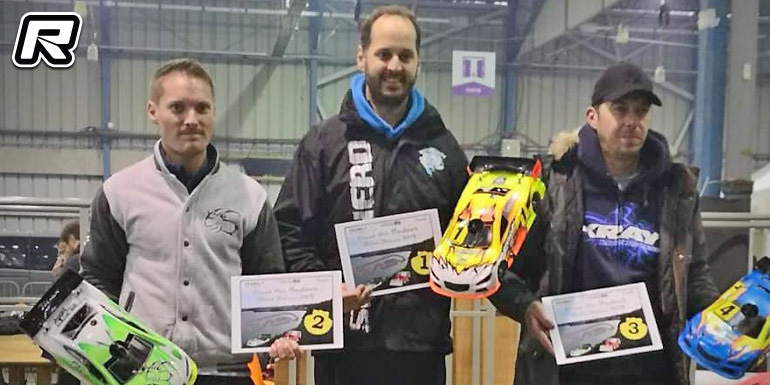 Last weekend’s Saint Brieuc International Indoor Grand Prix not only was held in 1/8th scale but also a 1/10th 200mm class. The special conditions of an indoor nitro track required some unusual adjustments and it was Shepherd’s Basile Concialdi who quickly found a good setup to win the opening qualifier ahead of Kévin Rasquin who came back to win Q2. Basile got it all together to win the the third and final round, improving Kevin’s time by over two seconds. In the half-hour long final Basile, despite the ever increasingly difficult track conditions, pulled a gap and took a strong win in front of Capricorn’s Thomas Guillon and Xray’s Anthony Stephan who completed the podium.